For as long as I've lived in Tiny Cottage, the oven hasn't functioned properly. I never got over being a home-owner and I'm used to fixing things myself, but I'm proud to say I didn't disassemble the stove to find out why the oven didn't heat. Finally last year, over drinks and Halloween candy, I told the landlords it wasn't working. They figured it was best to just replace the whole appliance; I said it wasn't any bother, and the conversation turned to other things. "Small problem. Do you have any batteries?" My new gas stove has an intermittent electric pilot light system. I found 4 AAs, but my new stove needed 8. The guy's wife was willing to go to the store and get more, but he said he was content (and so was I) to show me where the batteries go and call it a morning. After book club I went to Aldi for batteries but they didn't have any AAs; Aldi is next to the pool hall. The pool hall didn't have batteries for me, either (I ordered some.) I gave my phone to the bartender to charge, played Chicago vs. Delta blues on the jukebox with Dave, and ate snacks with a new friend who insisted I try the pizza dumplings - they're awesome. I stopped at Giant for batteries on the way home (the bartender hates Giant, he says vehemently.) I parked my car and then remembered the cell phone charging behind the bar. I went back down the street to the pool hall and stood next to the cash register, waiting for the bartender. Oh, look - a basket of remotes sitting right there. I was rifling through them looking for AA instead of AAA when the bartender snatched the basket away from me and handed over my phone. 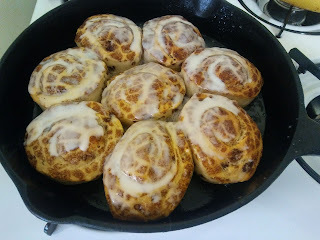 I went back to Giant to buy the batteries and some pop-up cinnamon rolls. And that's what I'm doing right now - eating cinnamon rolls in the oven that works because I spoke up for what didn't work for me to the right person. It's a small but significant success. Maybe I can make a habit of this, with a turnaround time faster than 2 years. Baby steps. 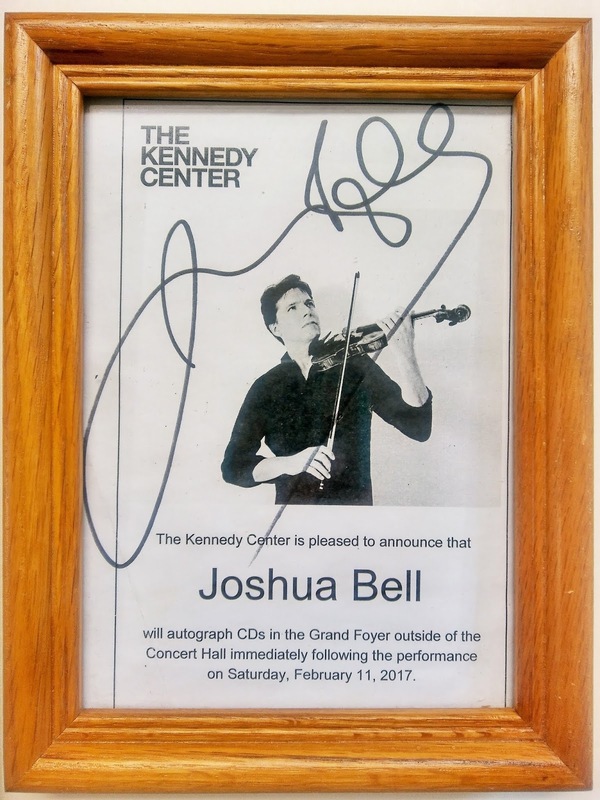 I met Josh Bell at the Kennedy Center, and it's because I embrace my neurosis: I can't stay sitting at a concert. I have to get up and stand back against the wall. Wall-people are a thing; if you already know then you are one, and I salute you. Eventually I was just overwhelmed with emotion and I had to go outside. You can't go back inside while the concert is in session, but there's a nice TV outside the hall and some rows of chairs, so I stood there in the Introvert Section and watched until the end. I was trying to be the first person to leave when a man motioned toward a velvet rope cordoning off a queue. "Stand there if you want an autograph." There was only ONE FAMILY in the line. I was freaking out. 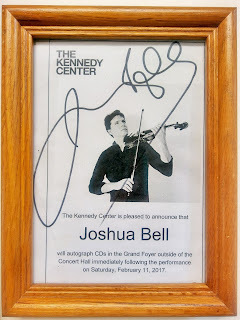 I could actually do this: meet Josh Bell and get an autograph, and talk to very few people and not queue for an hour, and still leave before traffic got crazy. So I did that. "Thank you for the Kreisler Album." His eyes opened a little, and he smiled and shook my hand. He said that project meant a lot to him, too. My heart was dying - I hope one day to be in a position where someone tells me my love-labor was appreciated. Celebrate your small successes, even if it was awkward achieving them. Praeludium and Allegro is so heartbreakingly beautiful - I actually found a young violinist willing to play it at my daughter's wedding for $100 but she cut me off with a "MOM, NO." I should have done it. What's the use of having kids if you don't torment them?